The use of this site implies the unconditional acceptance of the conditions that follow. This Website (hereinafter the “Site”) is the property of Les Jardins de l’Hacienda, AE No. SIRET: 519 171 565 000 12, whose head office is located at 92 route de Feurs, 69170 Tarare . 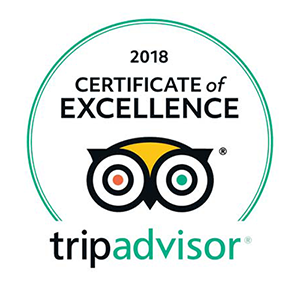 The purpose of this Site is to provide information about Les Jardins de l’Hacienda and to enable potential customers to consult information or book a stay. 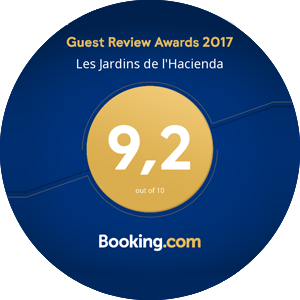 Jardins de l’Hacienda strives to ensure the reliability of all information on this Site, which it reserves the right to modify or correct, at any time and without notice, the content. This information is not contractual in nature. and more generally for all damages, direct or indirect, whatever the causes, origins, natures and consequences, caused by the access of anyone to this Site, its use or the use of other Sites linked to it, as well as the impossibility of accessing this Site. The hypertext links set up as part of this Site to other resources on the Internet, can not engage the responsibility of Les Jardins de l’Hacienda. Similarly, the mere mention of brand or company name does not commit Les Jardins de l’Hacienda to the actual or supposed quality of the products or services rendered. The documents contained in this Site and each of the elements created for this Site are subject to the provisions governing the law of intellectual property. No license or any other right other than to consult this Site is conferred on anyone with regard to these same provisions. 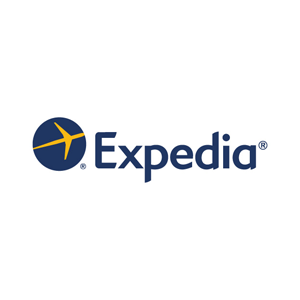 The reproduction of any documents published on this Site is only authorized for the exclusive purposes of information for personal and private use, any reproduction and any use of copies made for other purposes being expressly prohibited. The entire site is covered by French and international legislation on copyright and intellectual property. All rights of reproduction are reserved, including downloadable documents and sound and photographic iconographic representations. The user agrees not to disrupt the proper functioning of the Site by acts that have the effect of harming the Site, the publisher or other users. In accordance with article 34 of the “Informatique et Libertés” law of January 6th, 1978, any person quoted on a page of the Site can exercise its rights of access, modification, rectification or suppression of the information concerning it to the e-mail address: contact@lesjardinsdelhacienda.fr, or by writing. The information provided by visitors will be considered non-confidential, and must be accurate, lawful and not detrimental to third parties.